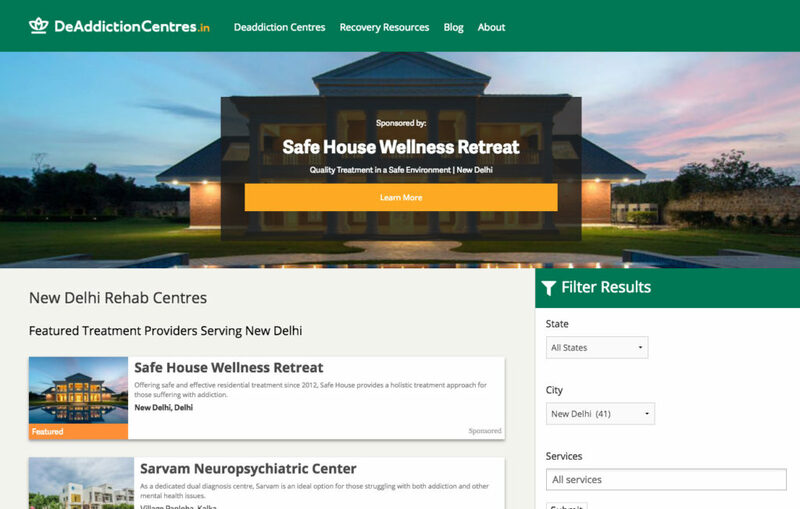 DeAddictionCentres.in is our longest standing project, and is the #1 treatment database in India. We recognize the responsibility that comes with this and are continually seeking to improve the quality of information we provide. We are fortunate to have a handful of Indian sponsors who are supporting this mission. If you have an idea of how we might be able to collaborate, don’t hesitate to reach out.